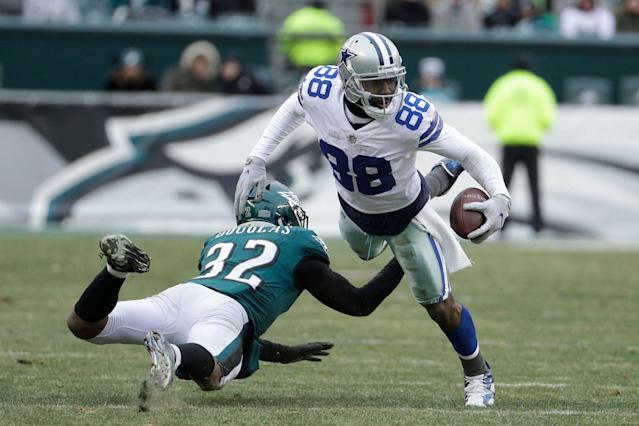 Dez Bryant has not played an NFL game in nearly 15 months, but there’s no doubting his confidence. Despite coming off a torn Achilles tendon, the three-time Pro Bowl receiver believes that he will make a big impact next season whenever he finds a new home. The Dallas Cowboys released Bryant in April 2018 after deciding that the cap savings were more valuable than his on-field production. Bryant said that he would have no trouble finding a team, but couldn’t do so until landing a $1.75 million deal with the New Orleans Saints in November that would have just paid him $1 million for the remainder of the season. That honeymoon only lasted three days, though, before Bryant ruptured his Achilles during a practice. That was a tough blow, especially considering he turned down a reported three-year, $21 million deal with the Baltimore Ravens, who would go on to make the playoffs. Bryant certainly isn’t expected to play like his early 2010s self that eclipsed 1,200 yards receiving and 12 touchdowns for three straight seasons. Still, his 838 yards and six touchdowns in 2017 were very serviceable, even if he will turn 31 next season. Where could Dez Bryant land? The biggest moves of the offseason have been star wide receiver trades with Antonio Brown heading to the Oakland Raiders and Odell Beckham Jr. surprisingly traded to the Cleveland Browns. But the free agent market has been active as well. Most of the top options have already signed, but outside of Golden Tate, those receivers have tended to be on the younger side. Adam Humphries got $36 million. John Brown signed for $27 million. Cole Beasley received $29 million, and Jamison Crowder landed $28.5 million. Bryant will likely be grouped with available veterans like 31-year-old Michael Crabtree, 31-year-old Demaryius Thomas and 34-year-old Jordy Nelson. Last season, Bryant was rumored as a possible signing for the New England Patriots, although they’re more likely to bring back Josh Gordon for next season. Perhaps the Ravens or Saints would have interest after losing key playmakers, or another team with a hole to fill like the Pittsburgh Steelers or New York Giants would take a look.